If you are thinking of attending some of Stephen’s song workshops or classes, here are some advance dates for your calendar. Further details will be posted in due course. Ansells workshop – Italian songs and arias. A weekend of English song at Jackdaws with Sarah Leonard. A week of classes at the Sherborne Summer School of Music. A week of classes at AIMS, Eastbourne College. October 4 – WW1 recital in Farley Church, Salisbury, with William Cole. October 11 – conducted a ‘Come and Sing’ Mozart Requiem in Long Melford Church, Suffolk. November 12 2014 – concert with the Dante String Quartet in Kendal. In this centenary year of commemoration, regret and gratitude it would be a strange omission if we didn’t celebrate the legacy to music of those precocious talents who died in or were profoundly affected by the Great War. Some of the finest poems in English, and some of the most moving and astonishing songs, remain as the promise of what might have been had things been different. In contrast to the exquisite songs of e.g. Butterworth, Gurney, Farrar, Denis Browne, Vaughan Williams and Holst are the hundreds of popular songs written to keep up the spirits of the folk at home. Of course this was truly a world war, so what wartime songs from other countries can you find to balance this feast of Englishness? We invite you to choose those which sum up for you the pride, patriotism and pity of that extraordinary time, and move us afresh as we try to imagine what it must have been like. Contact us at stephen@varcoe.com for more details of these days, or to be added to the mailing list for future workshops. We invite you to join us for the first of our Ansells Song Workshop Days after this warm and pleasant summer. One of the themes which has constantly inspired composers and poets through the ages is the landscape. In Britain alone we have open heaths, hills and dales, cityscapes and village greens, woodlands and farm fields, open roads and hidden paths – and then there’s the rest of the world! Close your eyes and let some armchair travel carry you to deserts and oases, mountain ranges and icy wastes, azure seas and exotic jungles…. and if all that’s not purple enough to get you thinking of songs to bring to our next workshop, your imagination needs an MOT! Once again our annual festival of words and music was a marvellous success. We had a brilliant evening on Friday 27th when husband and wife actors John Woodvine & Lynn Farleigh joined Stephen Varcoe for the delightful programme ‘The Best Years of our Lives?’ Songs ranging from Schubert to Sting, and the unforgettable transformation of venerable actor into uncouth teenager for Martin Newell’s poem ‘I wanna be a Goth’ were just some of the highlights. Saturday evening saw a welcome return by international chamber ensemble The Fibonacci Sequence, for this occasion morphing into a piano, horn and oboe trio. Wonderful musicianship and exuberant, joyful music-making of the highest quality! Sunday afternoon found our group of singers presenting their short programme of songs on which they had worked with Stephen – and as always, there were lots of cakes for tea! We missed the showers by the skin of our teeth all weekend, and from the feedback we’ve received the consensus is that it was our best festival yet. Next year’s festival will be from Friday 26th – Sunday 28th June, so put it in your diary now! 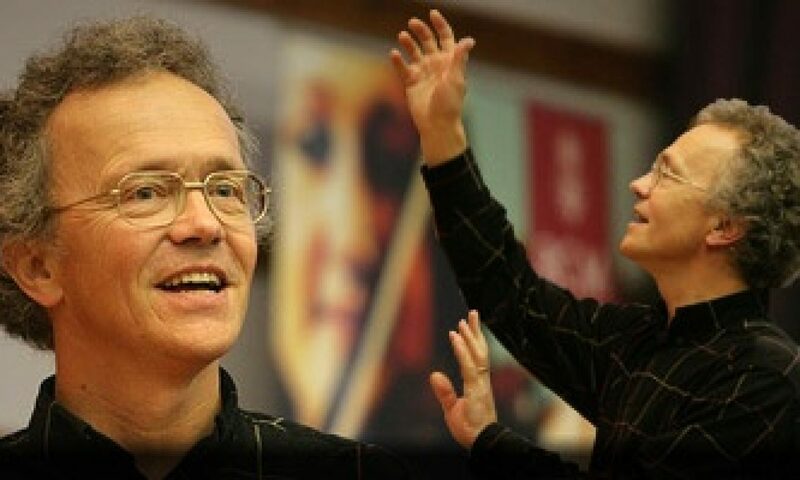 Saturday 28th June 8pm THE FIBONACCI SEQUENCE, internationally acclaimed chamber ensemble with Stephen Varcoe, music for oboe, horn, voice & piano by Saint-Saens, Schumann, Dukas, Berlioz, Schubert and more. Sunday 29th June 3pm INFORMAL CONCERT by singers on the course, plus tea and homemade cakes. BOOK ALL THREE FOR ONLY£26.50, a saving of £4.50! to reserve seats. Programmes on the door. Another successful workshop, with all places filled. Song Workshop at Ansells Farm, 22nd March 2014: Planning a Programme. The workshop was full and a tremendous success. [Update] Our November 2013 Workshop has had to be postponed to Saturday 25th January. As the Britten/folksong theme provoked plenty of interest, we’ve decided to offer it again and stretch the centenary into 2014! There can’t be many who are unaware that Benjamin Britten was born 100 years ago on November 22, St Cecilia’s Day. So much has been made of his centenary year, with good reason, but we’d like to widen the musical horizon for this latest Workshop to encompass music of the British Isles in all its richness, including his own well-known arrangements. The English Folk Song Society was formed in 1898, for example, and two of its keenest supporters were Vaughan Williams and Grainger. But we also have mediaeval ballads, stories and legends, songs of love and of battle, and of course the wonderful legacy of Scottish and Irish traditional poetry and song. Our next Workshop Day will be on Saturday October 12th , with the title ‘Anything Goes’. As you might imagine from this, we’re encouraging participants to bring any songs they choose to work on with Stephen, and we’re hoping for some unusual and interesting offerings!